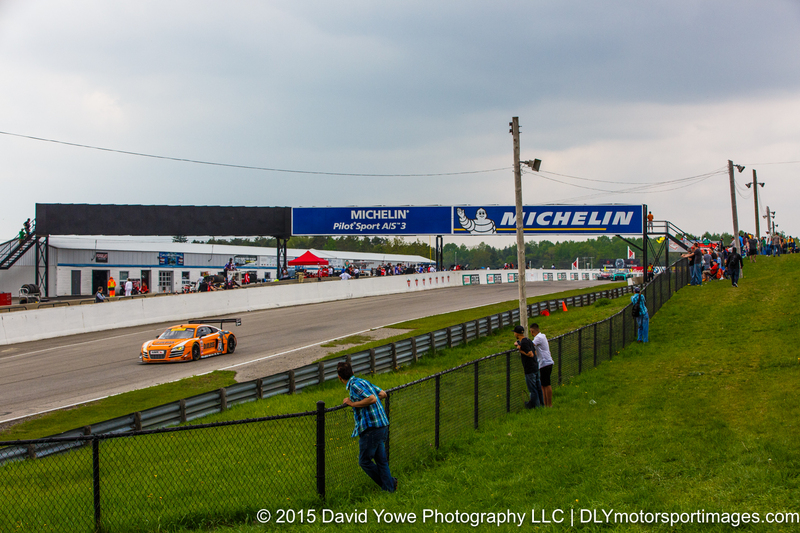 GT Class Race #1 for the Pirelli World Challenge (PWC) at Canadian Tire Motorsport Park was held Saturday afternoon under overcast skies. 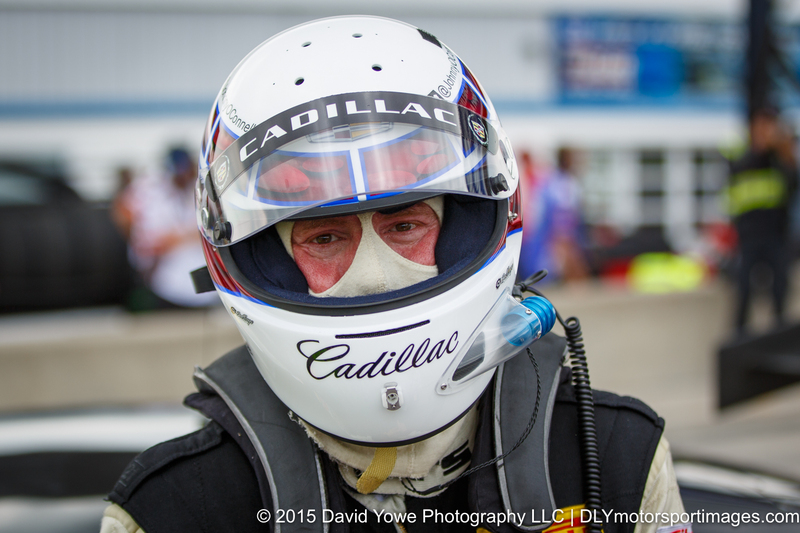 Johnny O’Connell in the #3 Cadillac Racing Cadillac ATS-VR GT3 won the race after 25 laps. 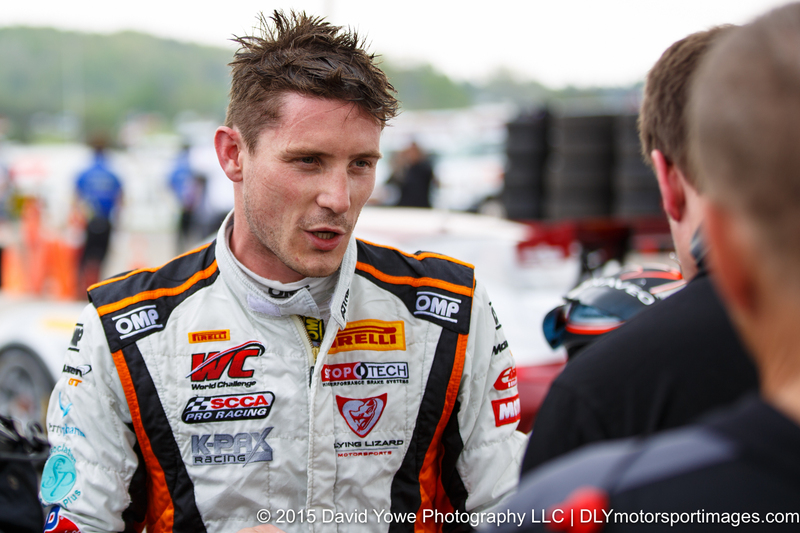 Second was Kevin Estre in the #9 K-Pax Racing McLaren 650S GT3 and third was Butch Leitzinger in the #20 Bentley Team Dyson Racing Bentley Continental GT3. Hope you like the photos. 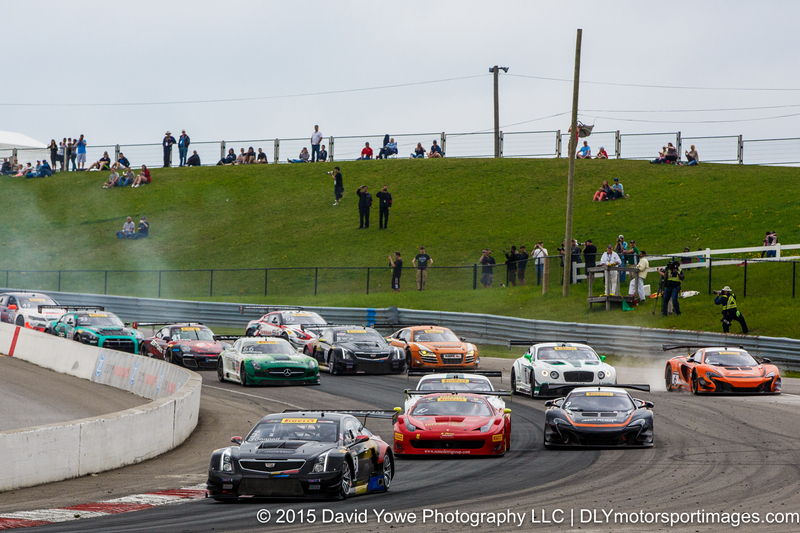 Johnny O’Connell in the #3 Cadillac Racing Cadillac ATS-VR GT3 leads the GT field through Turn 1. 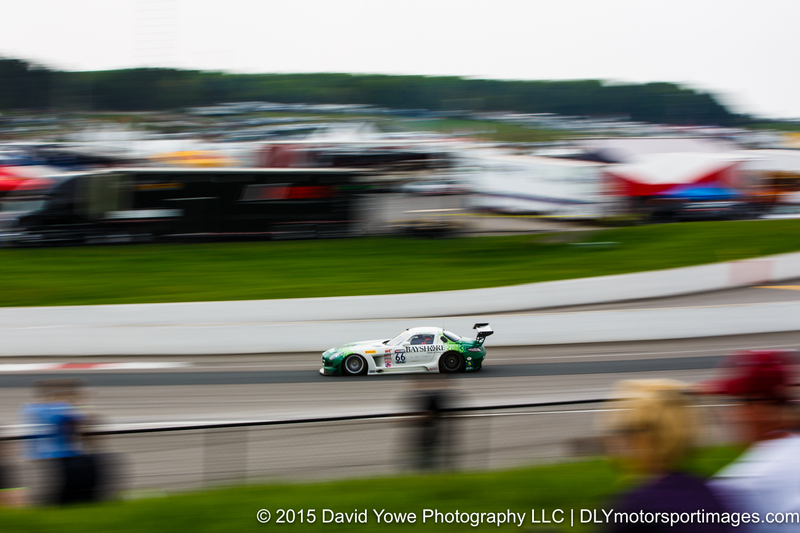 Into Turn 1 with Bill Ziegler in the #95 Turner Motorsport BMW E89 Z4 GT3. 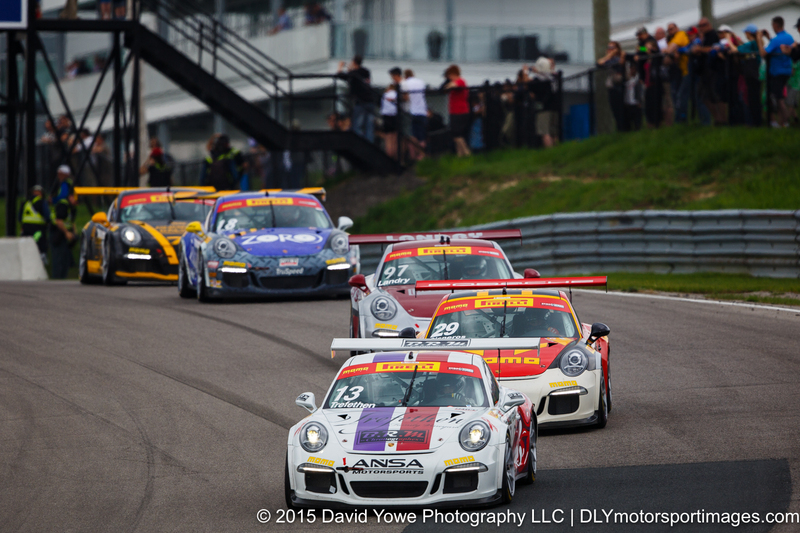 Lorenzo Trefethen in the #13 ANSA Motorsports Porsche 911 GT3 Cup leads several GT Cup cars down Turn 1. 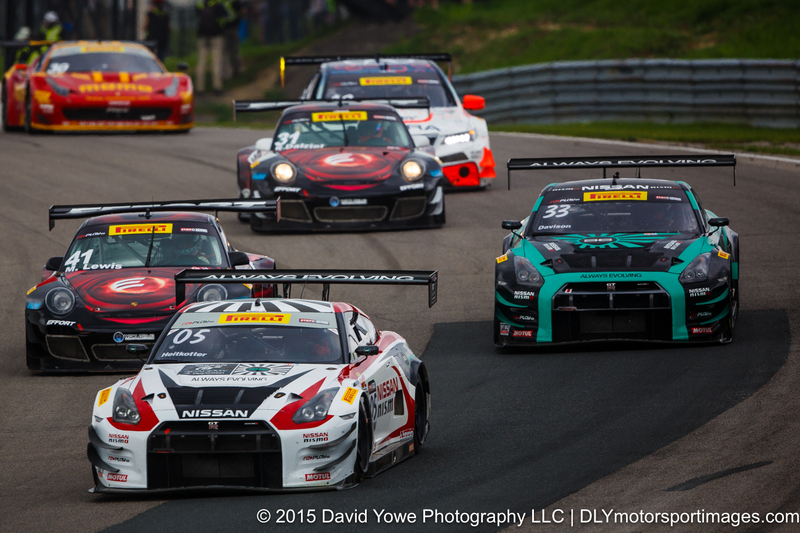 “Nissan, Nissan” with Bryan Heitkotter in the #05 and JD Davison in the #33Always Evolving Racing Nissan GT-R-GT3s. 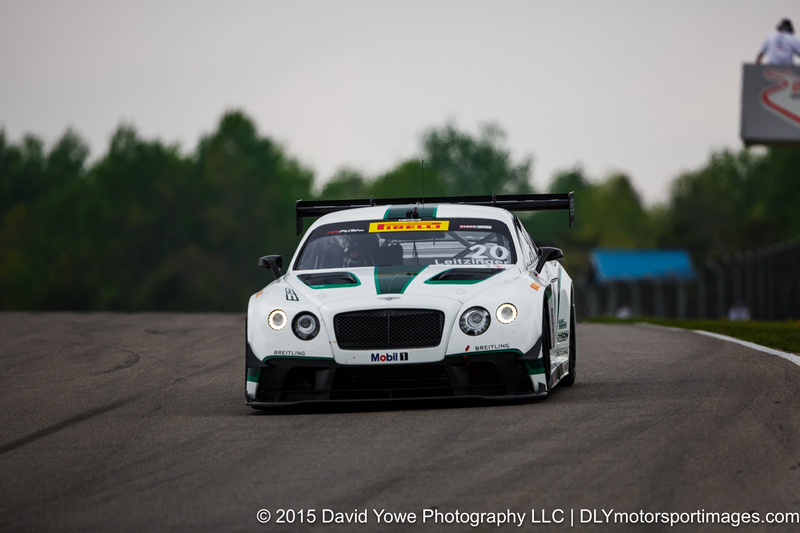 Butch Leitzinger in the #20 Bentley Team Dyson Racing Bentley Continental GT3 placed third. 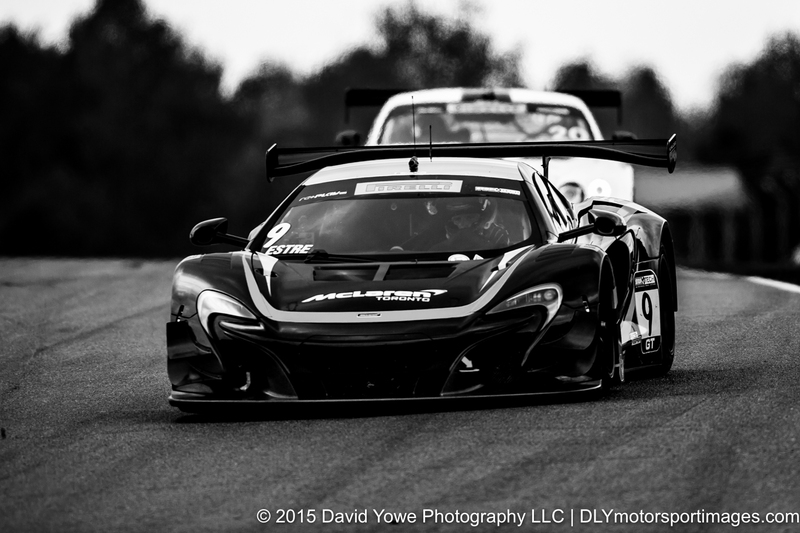 Second place went to Kevin Estre in the #9 K-Pax Racing McLaren 650S GT3. 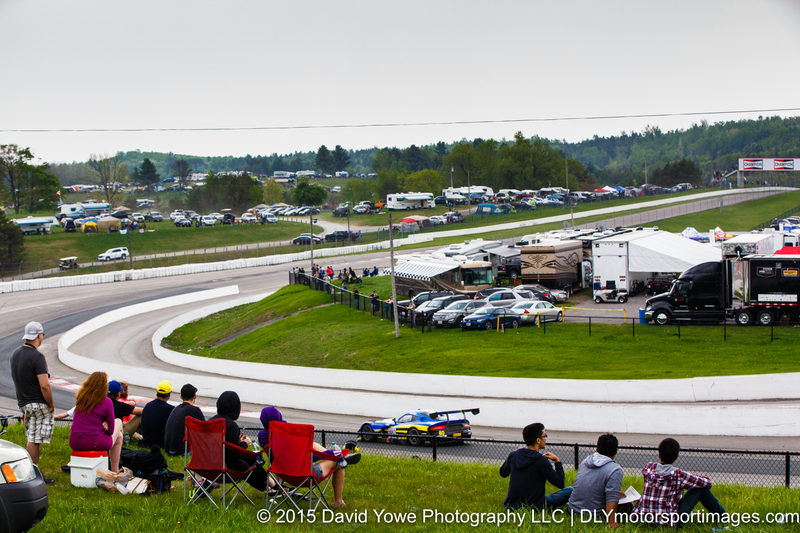 As the race continued, went to the spectator hill overlooking the track for some shots of fans watching the race. 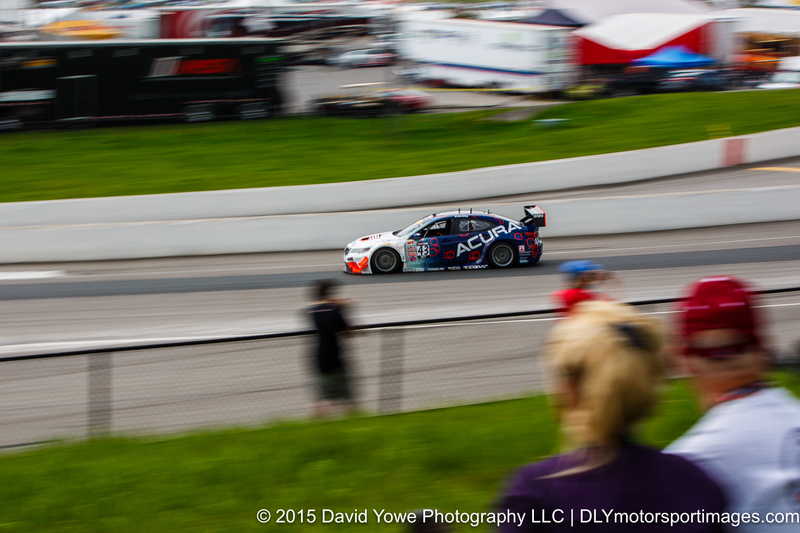 Ryan Eversley in the #43 RealTime Racing Acura TLX-GT. 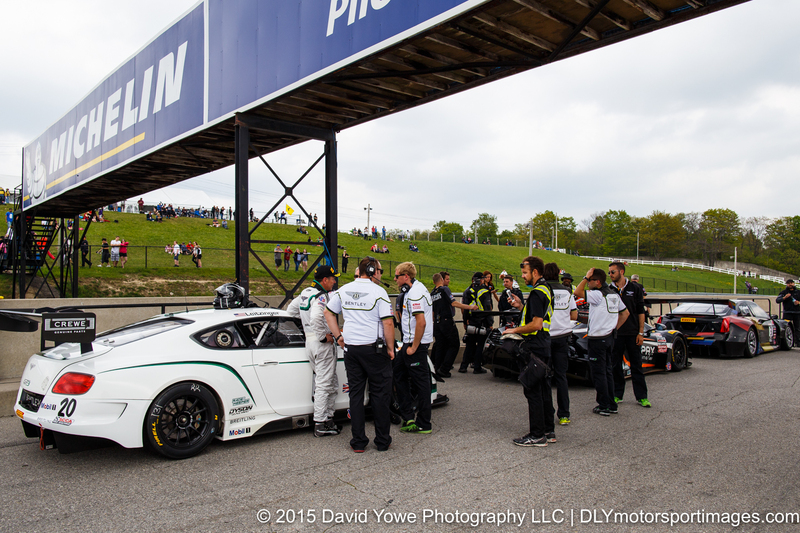 Frank Montecalvo in the #66 DragonSpeed Mercedes-Benz AMG SLS GT3. 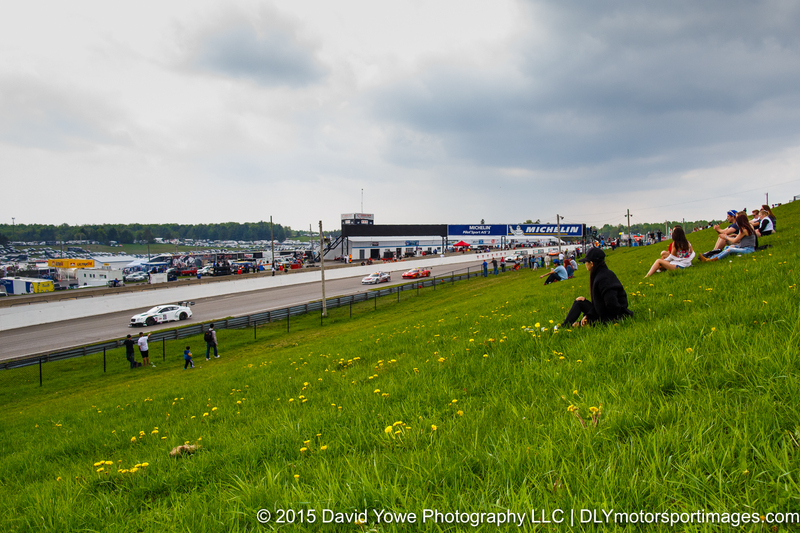 The hill overlooking Turn 1 was a great place to watch the race. Despite the storm clouds overhead, the race would finish without rain. 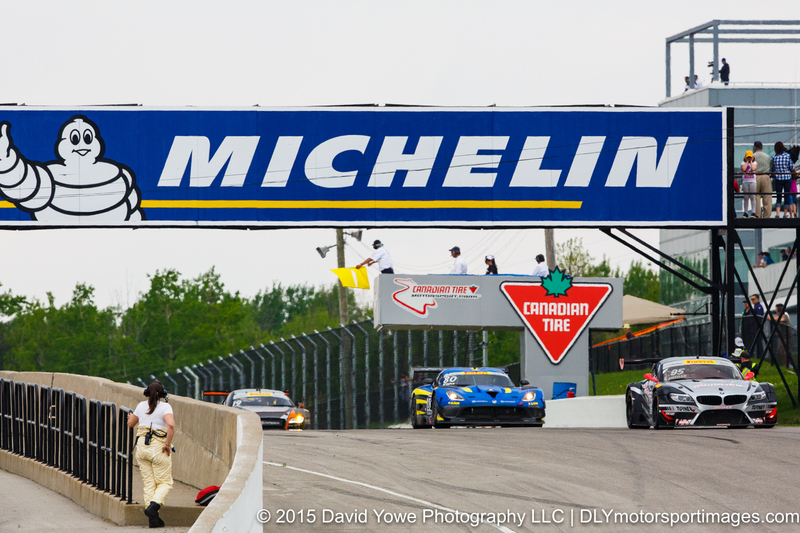 Worked my way up the track to the Michelin Bridge for shot of the cars on the front straight. 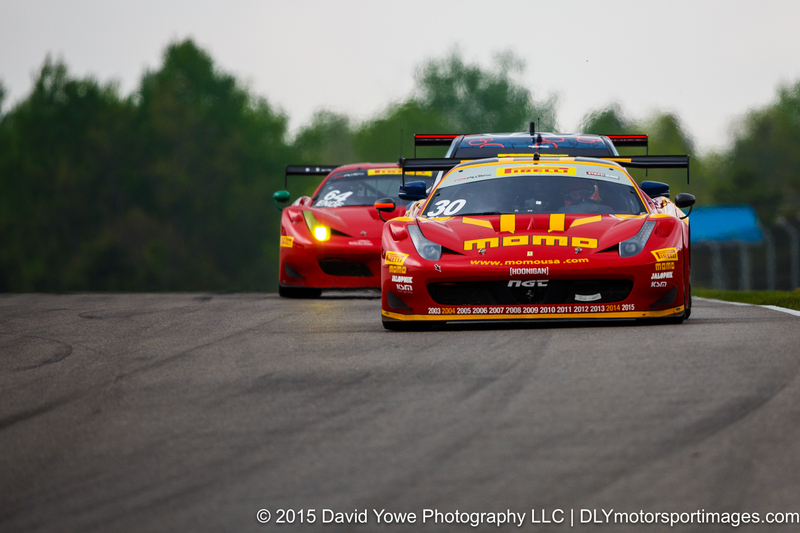 “Head-on” with Henrique Cisneros in the #30 NGT Motorsport Ferrari 458. 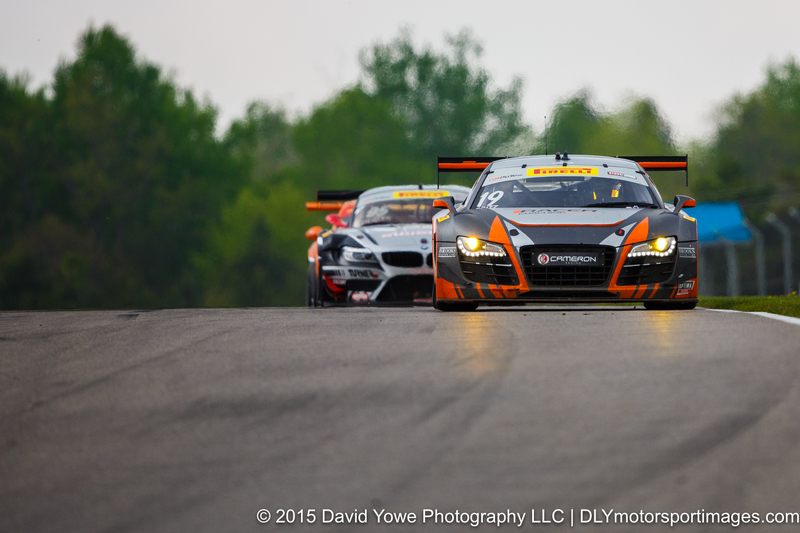 Drew Regitz in the #19 Stephen Cameron Racing Audi R8 LMS Ultra. 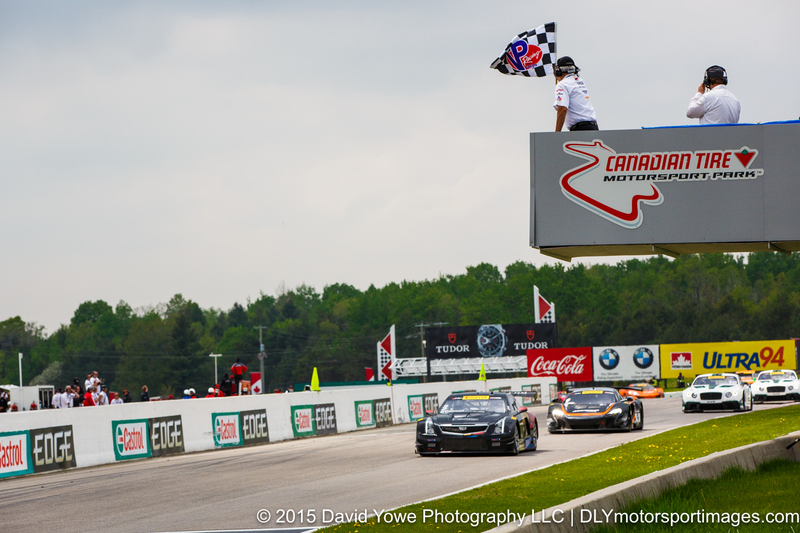 Johnny O’Connell takes the checkered flag and wins the race in the #3 Cadillac Racing Cadillac ATS-VR GT3. 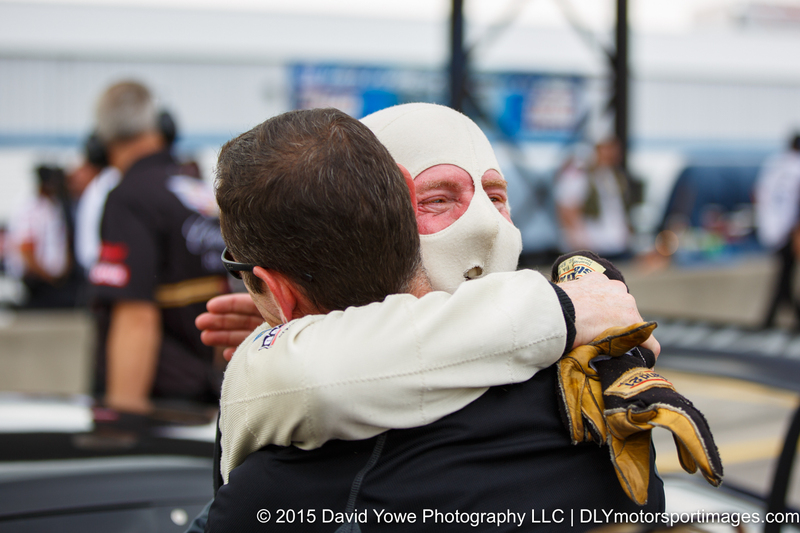 Johnny O’Connell driver of the #3 Cadillac Racing Cadillac ATS-VR GT3 celebrates his race win. 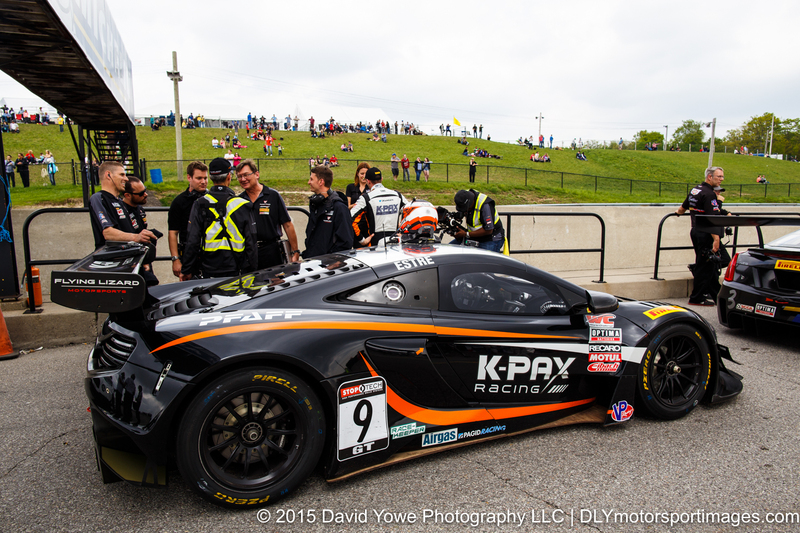 Kevin Estre driver of the #9 K-Pax Racing McLaren 650S GT3. 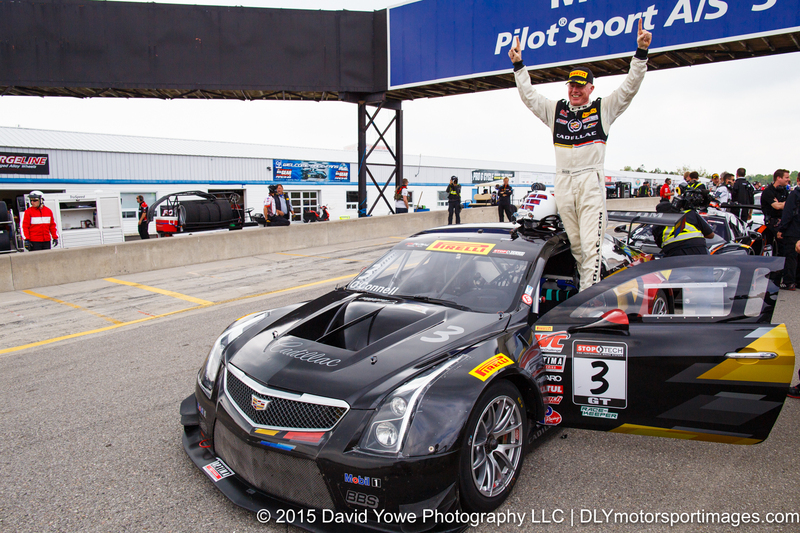 Winners podium with Johnny O’Connell driver of the #3 Cadillac Racing Cadillac ATS-VR GT3.